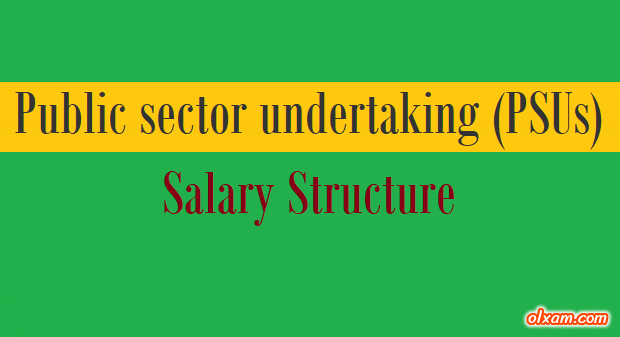 “what is the salary structure for various PSUs ? what is the CTC for various PSUs ? PSUs Salary Structure – Public sector undertaking (PSUs) recruiting thousands of engineers every year for various kind of posts as per their requirement through GATE score. Different-different PSU’s offer different-different positions to engineers with different salary structure after clearing all stages of selection decided by PSUs. PSU jobs are now one of the dream jobs for engineering graduates. One of the major reason of being dream job is PSUs providing tremendous employment opportunities in various technical and management areas where selected engineers can use their technical and managerial skills very well and work better for company. Apart from this PSUs provides Job security, Good work environment, Holiday’s same as govt. jobs, Dearness Allowance, CPF Allowance, Pension schemes, Medical benefits & many more other benefits. PSUs also offer good salary structure and CTC range from 5 lakhs to 14 lakhs at initial level of selection. Here we are providing salary structure of various PSUs for different positions such as Graduate Trainee (GT), Management Trainee (MT), Executive Trainees (ET),Graduate Engineers (GE), Engineer Trainees (ET), Graduate Engineers (GE),Trainee Engineers (TE) etc. This post is designed for providing more information about Public sector undertaking (PSUs). We have provided salary structure and CTC on latest information and we will update this list time to time. If you find there is any change in any company / organization salary structure you may notify us using below comment box. We will update information in the above list as soon as possible. sir can tell me about indian navy ? i am selected for ssb interview? i hv paid gate fees.Balance also deducted from my account bt nt got message of payment successful….